The battle between Mer and Atlantis begins in the fifth volume of this Eisner Award-nominated series! 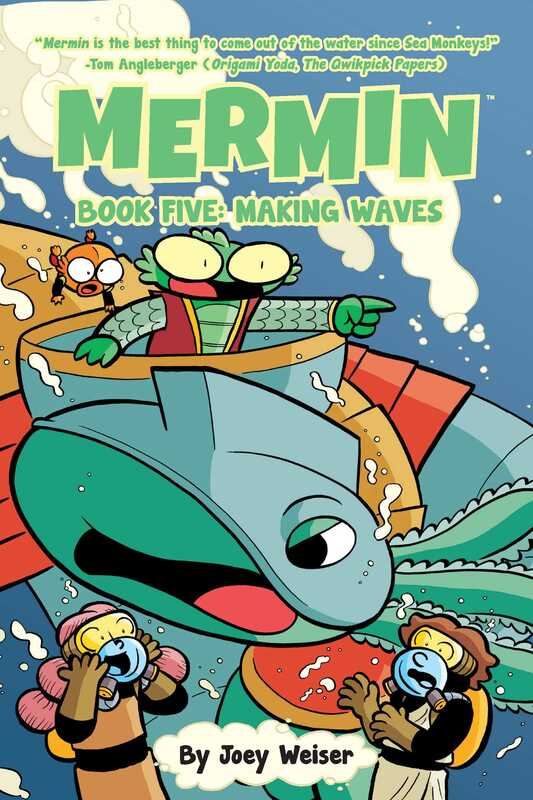 While Mermin the merman is at his father's side, the rest of his friends and family are scattered around the battlefield, trying to help in any way they can. Except for Pete, who's about to stage a jailbreak out of Atlantis with a team of Mer-prisoners! Will they make it to Mer in time to stop the war? The thrilling conclusion to the Mermin series!